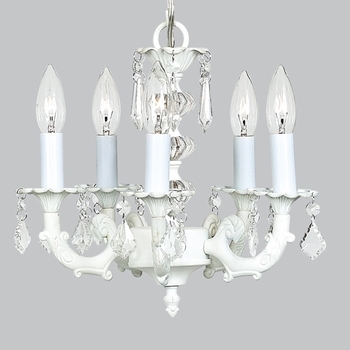 The White 5 Arm Chandelier with four stacked glass balls is a beautiful fixture for your room. The stacked glass balls form a tower in the center of this dainty lighting piece. 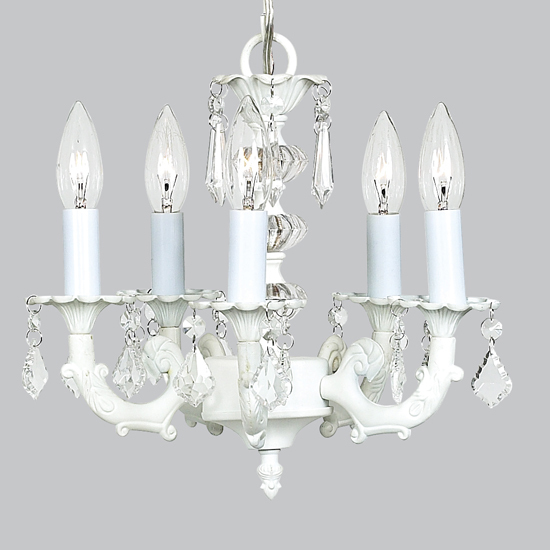 A series of u-drop crystals line the top while etched glass crystals line the glass bobesches around each arm. A pretty fixture for a girls room.